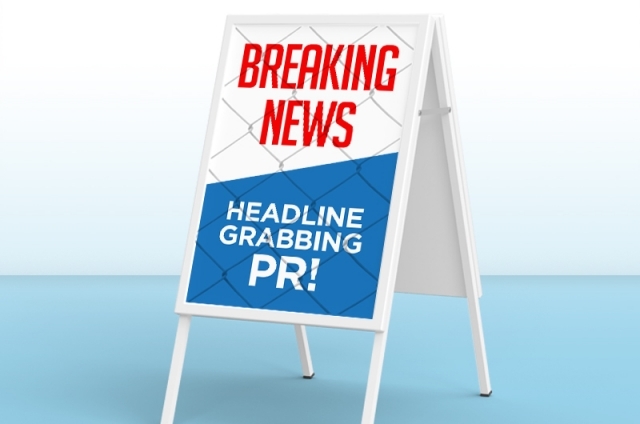 When it comes to making your business headline news, the power of PR is not to be underestimated. Do you want to raise your profile alongside awareness about your brand and services? Maybe you want to reach a wider audience, connect with more customers and help boost your sales? You can rely on Rocket’s headline hitting PR to help you achieve all your objectives. We will also increasing your brand visibility and recognition, drive sales and help you win awards! Don’t hide your talents and achievements under a bushel – shout about them. Our proactive PR gives your business a voice and crucially ensures it’s heard. In a commercially competitive environment we are results driven, crave coverage and attention for your business. This ensures we maximise your PR potential. Here at Rocket we take an intelligent, strategic and creative approach with our proactive PR ensuring effective communication. Likewise, our journalist-to-journalist approach has repeatedly resulted in headline grabbing coverage and delivered positive PR results within multiple media sectors in high profile publications regionally, nationally and globally. Utilising an array of channels and PR processes providing content rich and thought leadership editorials alongside opinion led statements to our well-established, extensive media contacts, we secure editorial coverage through newsworthy, impactful press releases, compelling copywriting, seminars, events and PR stunts. We understand our clients’ commercial goals and ensure our PR activities deliver commercial success. Our proactive approach and range of tactical techniques, alongside Rocket’s extensive database of media contacts means we achieve outstanding press coverage in multiple media sectors. Our ongoing, long established relationships with press professionals nationally and worldwide, plays a pivotal part in our ability to secure and deliver editorial coverage for our clients. It’s our ability to write compelling, punchy press releases with newsworthy content that journalists want to cover. Rocket’s PR team create collaborative editorial articles and features for inclusion in leading, peer-reviewed publications. Our proven PR results ensure our clients continue to be thrilled with their prolific press visibility. We generate and implement effective PR plans and strategies to meet your objectives, surpass expectations, ensuring your brand not only steals the limelight but remains there too. Speaking of limelight, we have a great track record in entering our clients for industry leading awards and of course winning them! With an experienced journalist at the headline-hitting helm Rocket can successfully steer your brand in the right direction, navigate news coverage and target the right audience to achieve the editorial exposure that best highlights your services and puts you in the media spotlight …for all the right reasons. Even more, our journalist-to-journalist approach has proven to be a successful method. We engage editors and media contacts in a range of newspapers, magazines and news websites within the UK and worldwide. It’s fact, not fiction, that our proactive PR equals engaging editorial that journalists can’t resist reporting on. Our PR success story is that we excel in engagement and media relationships. We achieve excellent AVE (Advertising Value Equivalent) figures and headline grabbing results for our clients. Telling their stories successfully means commercial business benefits and increasing ROI results. Moreover, our wide-ranging PR capabilities, expertise and extensive skillset mean we can create and deliver headline-grabbing events for our clients. These can include exhibitions, conferences and trade shows. We set up press offices and undertake press monitoring to report back on our achievements. Trust our wonderful wordsmiths to create captivating, content rich copy that captures column inches and certainly the attention of editors ensuring our clients are the big story. Let Rocket launch your brand and business to new heights with proactive PR that delivers results – every time.